Brain with shattered glass. 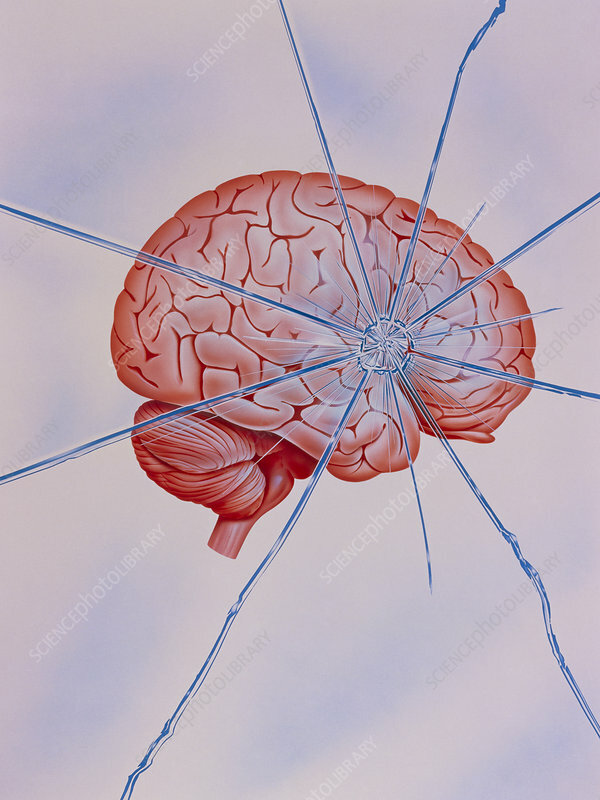 Illustration of a human brain with shattered glass superimposed onto it, depicting a mental disorder such as schizo- phrenia. Schizophrenia, or split personality, is characterised by a disintegration of logical thinking, of emotional response, and contact with reality. Perceptions of the outside world may be mistaken, and the schizophrenic becomes socially withdrawn and depressed. Depression is a separate disorder resulting in sadness, hopelessness, and loss of concentration. This image may also depict multiple personality disorder, the development of two or more personalities. It may also represent the sudden effect of nervous breakdown.